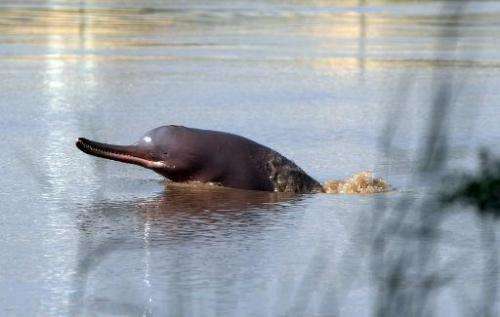 Local legend has it that Pakistan's Indus River dolphin was once a woman, transformed by a curse from a holy man angry that she forgot to feed him one day. Conservationists are fighting to save the dolphin as well as the river's black spotted turtle, at risk from poachers who hunt it to sell to collectors and traditional medicine dealers. The dolphin, which can grow up to 2.5 metres, is one of the world's rarest mammals, with a population of just 1,400 living scattered along a 1,200-kilometre (750-mile) stretch of the Indus, which rises in the Himalayas and flows out into the Arabian Sea near Karachi. They are classed as endangered on the International Union for Conservation of Nature (IUCN) red list of threatened species, which says the population has fallen by more than 50 percent since 1944. Functionally blind, they use echolocation—a form of natural sonar—to find fish, shrimp and other prey in the muddy river waters. Sticking their snouts and heads from the waters, the dolphins bring serenity to the river in the shadow of the Sukkur Barrage, built by the British, around 470 kilometres (300 miles) north of Karachi. The monsoon season draws families and picnickers hoping to catch a glimpse of the dolphins. 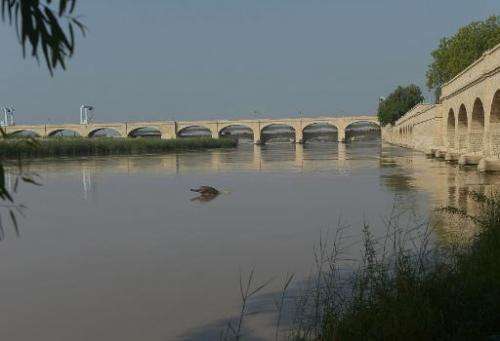 But the series of dams and barrages built across the Indus since the late 19th century to help irrigate farmland have divided the dolphin's habitat into 17 separate sections. The dolphin has died out in 10 of these sections, according to a recent study published in the PLoS One journal by experts from Britain's St Andrews University, and the sub-populations are left more vulnerable by their isolation. "Narrow fishing nets trap the dolphin under the water and she needs to come out to breathe after every one to two minutes," Muhammad Imran Malik, from the dolphin protection project of World Wildlife Fund (WWF) told AFP on the riverbank in the town of Sukkur. "We have different awareness activities among local fishermen, communities and other people about the dolphins' habitat, threats and the importance of its existence in the river," Malik told AFP. Fisherman Gajan Khan Malah is one of the WWF volunteers who plays a role in monitoring the dolphins. 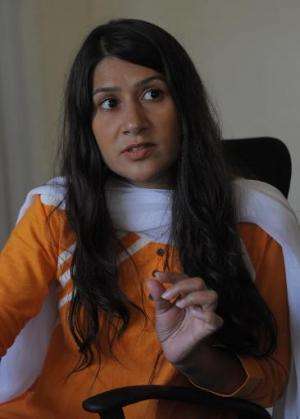 "Some years ago we saw a dolphin stranded in shallow waters, while we were fishing," Malah said. "We called the WWF officials and they came instantly to rescue her and we netted the dolphin and handed her to them. They released it in the river," he added proudly. "There is a market for every species, and this is a very unique turtle. It has a black colour with white and yellow spots, which is fascinating for many turtle lovers who keep them as pets," said Uzma Noureen, the WWF project coordinator at a sanctuary for rescued turtles. Around 200 turtles, which are listed as vulnerable on the IUCN list, were smuggled from Pakistan to Taxkorgan in China's Xinjiang autonomous region in June. Pakistani customs authorities recently recovered at least two consignments of hundreds of protected turtles, which were being smuggled abroad from Karachi airport. 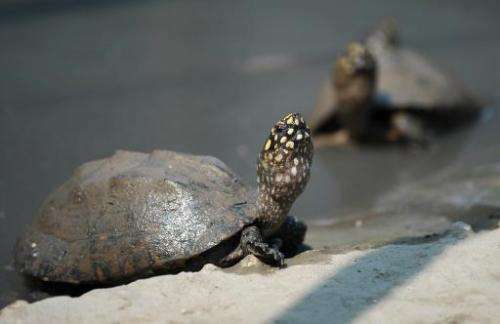 "There is an alarming rise in smuggling cases of the black spotted turtles because of the lucrative market in countries like Thailand and China," said Ghulam Qadir Shah, researcher at IUCN. A turtle can fetch $1,600 dollars overseas with prices kept high by both passionate turtle enthusiasts looking for pets and others who want to consume the flesh or use the species for traditional medicine purposes.